When buying a fine chess set it's wise to consider how the set will be stored, or if it indeed will be stored. In many cases our luxury chess sets are laid out on display permanently, and why wouldn't they? They are after all so beautiful that you won't want to put them away. If however you need to transport your chessmen, or need to put them away, a small chess case is the ideal solution. 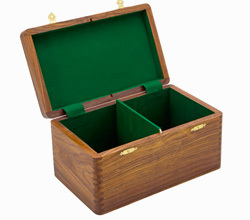 We sell a good selection of boxes that are ideal for storing your chess pieces inside. 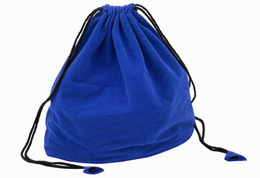 Even a cheap set can benefit from a simple draw string bag to contain all the chessmen when they are not being used.